Influenza or flu is the most common disease during winters. All types of flu are caused viruses. There are about 200 known flu viruses. These viruses not only cause fever but also congest throat, nose, lungs, bronchial tubes, and middle ear making even breathing difficult for the patient. The drugs and medicines seem to be ineffective for flu as whenever you stop taking these medicines, flu comes back and makes the patient's life very uncomfortable. Ayurveda believes that the cure for flu is precaution. One has to prevent flu by increasing body immunity against viruses and other harmful outer elements. However, Ayurveda also suggest home remedies for getting relief from flu conditions like fever, cough, sorethroat, nasal congestion etc. Vitamin C, garlic, honey, cinnamon etc. are all immune boosters. Try to take them regularly as a part of your diet. Mix some fresh lemon juice with lukewarm honey and take it daily to increase immunity against viruses. To get relief from sore throat, gargle with lukewarm water after adding salt to it for 3-4 times a day. You can even gargle with 1 drop each of tea tree oil and lemon mixed in glass of warm water. Remember not to swallow the solution. Mix 10-20 drops of one of the following- tea tree, eucalyptus, lemon or lavender oil- to your hot water bath. This strengthens immune system. Mix 1 tbsp of lukewarm honey with 1/4 tsp of cinnamon powder. Take this mixture daily for 3-4 days to improve immunity. Take steaming water in a big bowl and add 2 teaspoons of chopped fresh ginger in it. Lean your head over the vessel and drape a towel over head in such a manner that the steam doesn't escape. Inhale the steam to get relief from congestion of nose, throat and chest. You can even add eucalyptus oil or menthol to the water and then take steam. You can breathe easily after such a flu treatment. Drink lots of water during the day. It keeps respiratory system hydrated and helps to liquefy thick mucus built up. Don't drink too much of coffee, tea, or alcoholic beverages and quit smoking as they may lead to dehydration. Ayurveda suggests 'Neti kriya' (nasal saline intake) for clearing of the nasal passage and getting relief from congestion. 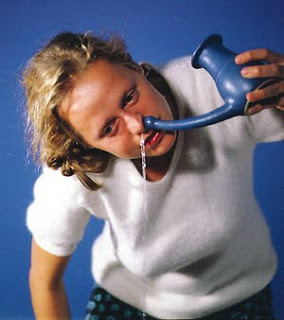 Get a 'Neti pot'. Mix 1/4 teaspoon salt and 1/4 teaspoon baking soda in 8 ounces of warm water. Fill the Neti pot with this saline solution. Lean over the bathroom sink, tilt your head to one side and pour the solution directly into one nostril with the Neti pot. Solution will go into nasal cavity and run out the other nostril and the back of throat. Spit out the drainage, and gently blow nose to clear the nasal passages. Repeat the activity twice or thrice a day. Take half teaspoon each of sitopaladi powder, sudarshan and honey. Mix them well and have it every few hours. Avoid fried and cold food and liquids. Switch to a bland diet and take fresh and hot food and liquids like soups and herbal tea. Include garlic in your diet. It is one of the best immune boosters. Used for its antioxidant activity for coughs, colds, flu, bacterial and viral infections. Steam can really give relief to a blocked chest and nose...the eucalyptus oil is a life saver.I also like the mix of ginger honey and basil to drive my cold away. Nice blog........I really enjoyed to read this blog. It has contained many home remedies and natural treatment for cure of many diseases. Thanks for your lovely share with us!! The write-up has confiгmeԁ neсеѕsагy to me. It’s rеally helрful anԁ yοu're certainly quite well-informed in this region. You have got popped my personal sight for you to different opinion of this kind of subject together with interesting and sound content. 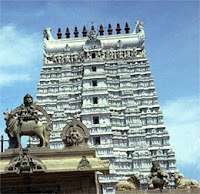 Hi there to every one, as I am in fact keen of reading this webpage's post to be updated daily. It contains nice material. is the greatest I have discovered so far. But, what about the conclusion? my own blog in the near future but I'm having a difficult time deciding between BlogEngine/Wordpress/B2evolution and Drupal. The reason I ask is because your design seems different then most blogs and I'm looking for something unique. If some one wants expert view about blogging afterward i propose him/her to go to see this website, Keep up the pleasant job. have something to contribute to the discussion. Usually it's triggered by the sincerness communicated in the article I browsed. And on this article "Natural Home Remedies For Flu". I was actually excited enough to post a thought ;-) I do have 2 questions for you if it's allright. of these comments come across like written by brain dead individuals? Hi to every one, it's in fact a pleasant for me to go to see this website, it includes precious Information. time as folks think about concerns that they plainly do not know about. a bit, however other than that, this is fantastic blog. A great read. A lot of times it's very hard to get that "perfect balance" between user friendliness and visual appearance. I must say you have done a superb job with this. Also, the blog loads extremely fast for me on Internet explorer. Excellent Blog! Hi everyone, it's my first visit at this website, and article is genuinely fruitful in support of me, keep up posting such articles or reviews. What's up, for all time i used to check blog posts here in the early hours in the daylight, as i like to find out more and more. Simply want to say your article is as surprising. The clarity in your publish is just great and that i can suppose you're knowledgeable on this subject. Fine together with your permission let me to take hold of your feed to keep updated with coming near near post. Thank you one million and please continue the enjoyable work. Wonderful site. Lots of helpful information here. I am sending it to a few buddies ans additionally sharing in delicious. of genuinely get valuable facts concerning my study and knowledge. Remarkable issues here. I'm very satisfied to peer your article. Thanks so much and I am looking ahead to contact you. Will you please drop me a mail? stumbleupon every day. It's always exciting to read through articles from other authors and use something from their sites. for your submit is simply spectacular and i could assume you're knowledgeable in this subject. Well along with your permission let me to take hold of your RSS feed to keep up to date with drawing close post. Thank you a million and please carry on the rewarding work. There's no doubt that that you ought to publish more about this subject, it may not be a taboo subject but generally folks don't speak about these subjects. Asking questions are actually pleasant thing if you are not understanding something entirely, but this article presents good understanding even. Pretty nice post. I just stumbled upon your weblog and wanted to say that I've truly enjoyed browsing your blog posts. After all I will be subscribing to your feed and I hope you write again soon! An outstanding share! I've just forwarded this onto a colleague who was conducting a little homework on this. And he in fact ordered me lunch due to the fact that I stumbled upon it for him... lol. So let me reword this.... Thanks for the meal!! But yeah, thanks for spending time to talk about this issue here on your blog. I'm experiencing some minor security issues with my latest blog and I would like to find something more safeguarded. Do you have any solutions? Hey! That’s a very great post. I’m very sure I will suggest it to my co-workers. In the event you publish more posts please email them to me. to him. Fairly certain he'll have a very good read. Thank you for sharing! ezine, newsletter, blog or website. Click OK and wait a second or two for the effect to be applied. it ;) I may come back once again since i have book marked it. I'm going to bookmark your site and keep checking for new information about once per week. I opted in for your RSS feed as well. this, such as you wrote the e book in it or something. I think that you simply can do with a few p.
c. to force the message house a bit, but instead of that, this is excellent blog. 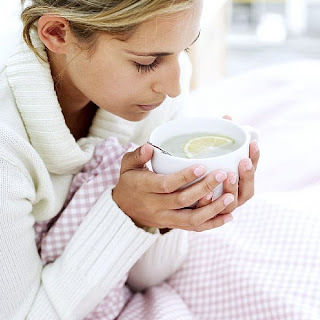 Thanks for finally talking about > "Natural Home Remedies For Flu" < Liked it! Hello, ӏ think уour blοg could be haνіng inteгnet brоwѕеr compatibility issueѕ. when opening in I.Ε., it's got some overlapping issues. I merely wanted to provide you with a quick heads up! Besides that, fantastic blog! Is actually a Carpet Purifier Rental A good idea the Bucks?